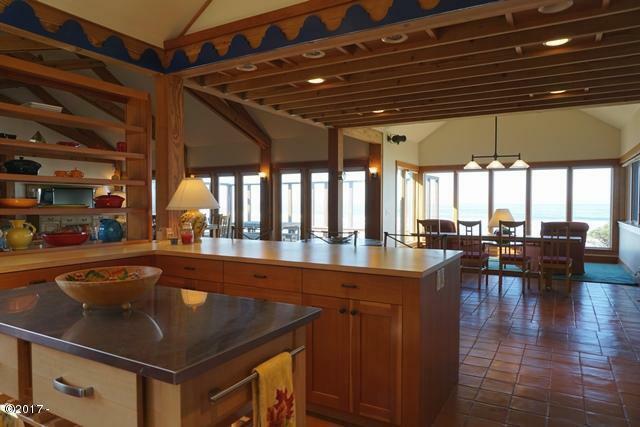 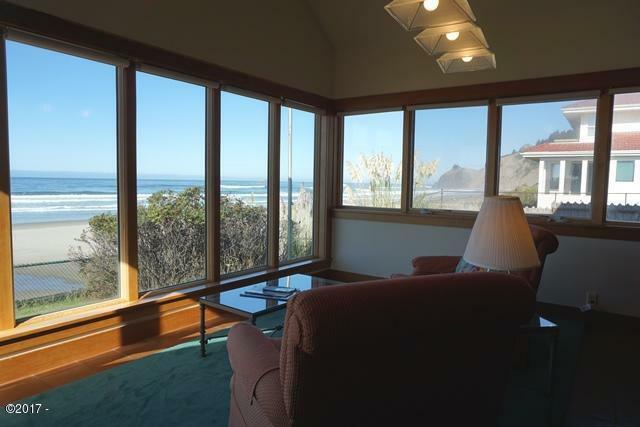 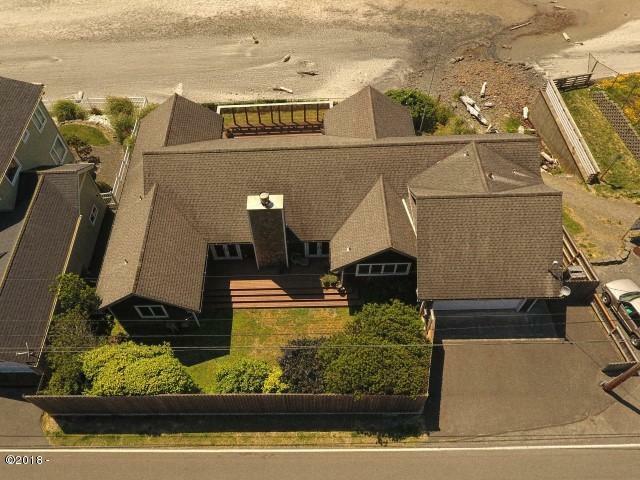 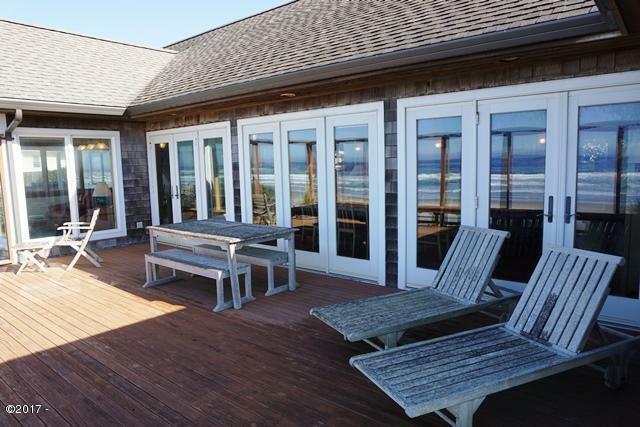 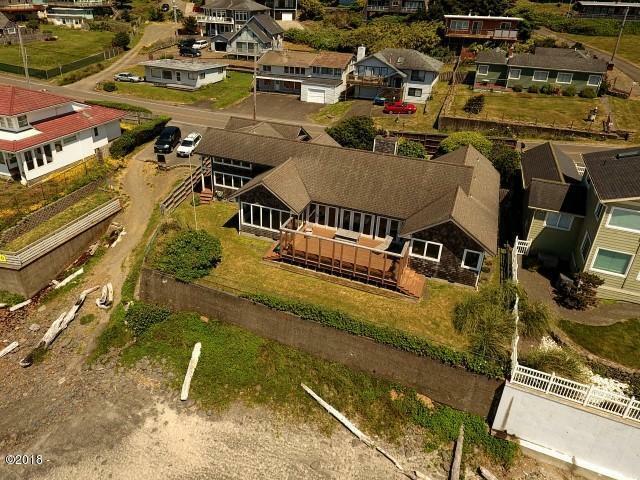 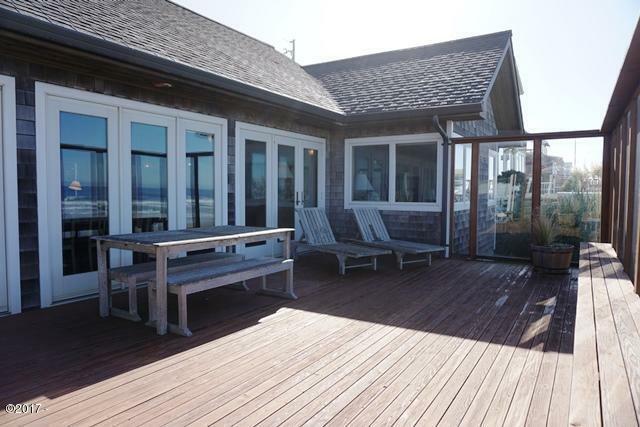 Sweeping ocean front views from 85' of frontage. 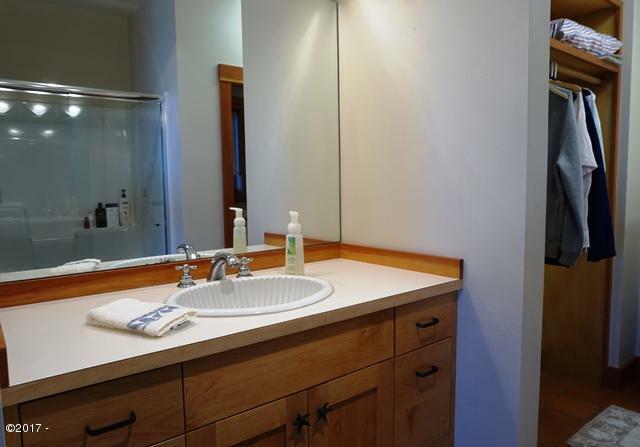 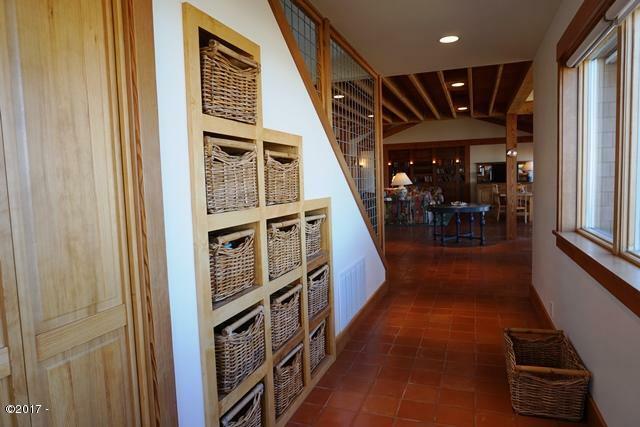 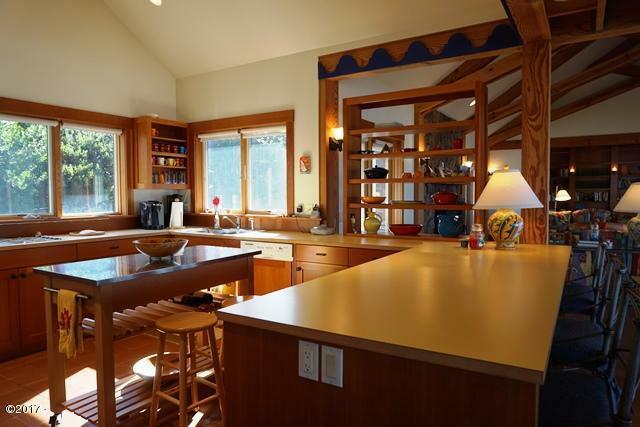 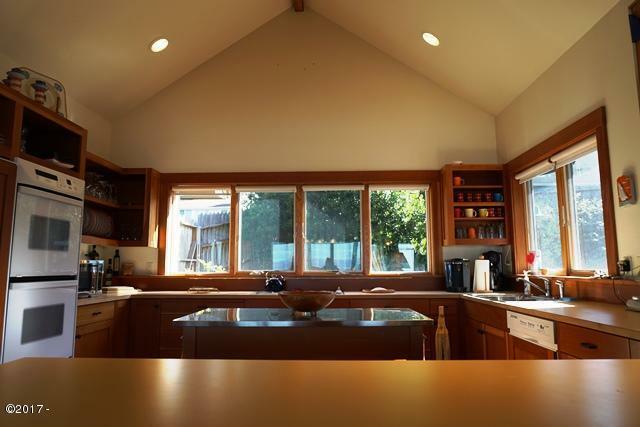 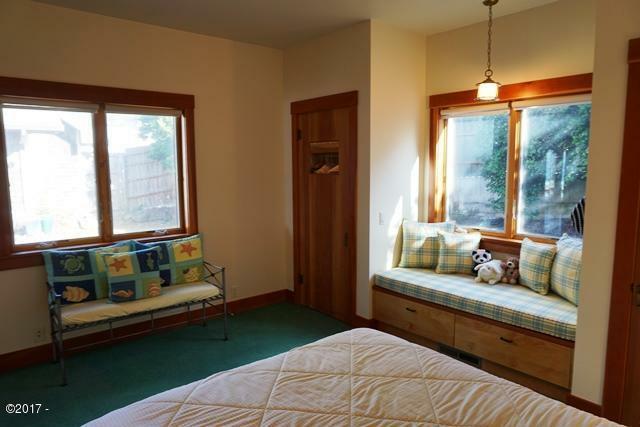 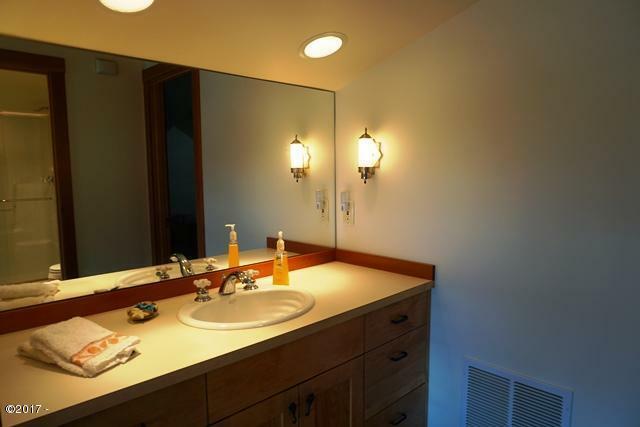 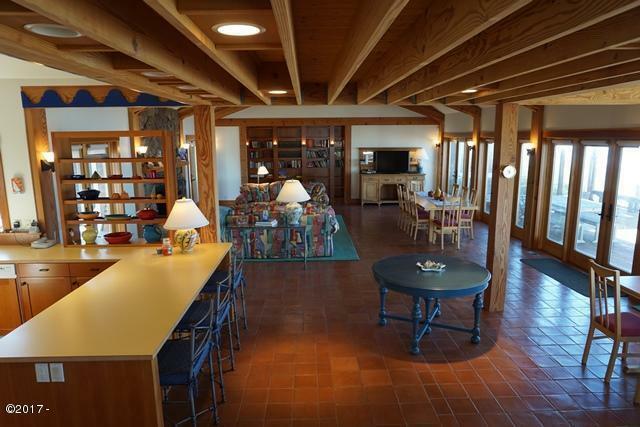 This large, craftsman style home built in 2001 has extensive detail to finishes throughout. 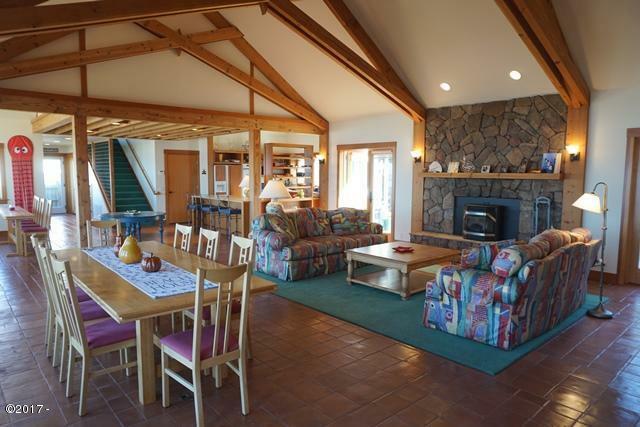 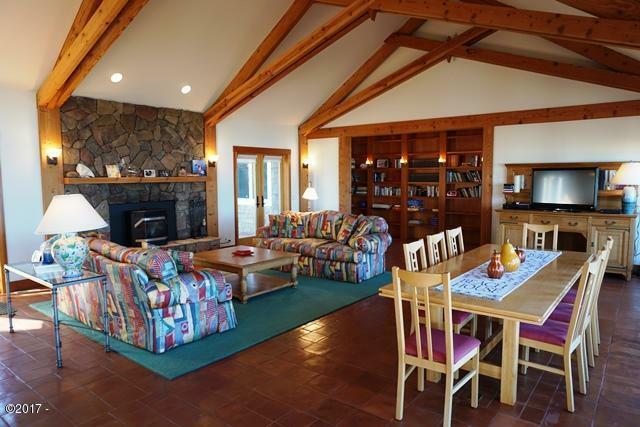 Spacious open floor plan, scissor beam ceilings, huge rock fireplace, a wall of windows, large outdoor wind protected gathering space and fully fenced lawn. 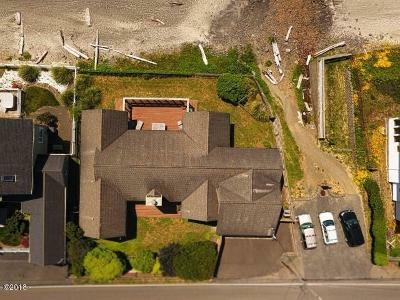 Protective concrete sea wall. Beach access is adjacent to North end of homes fence, which leads to miles of sandy beach. 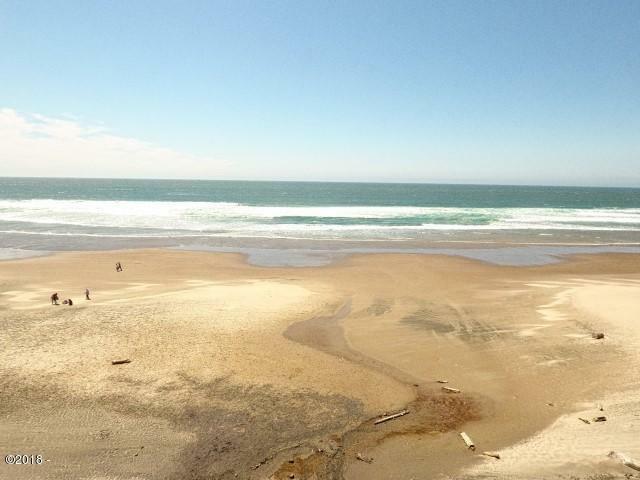 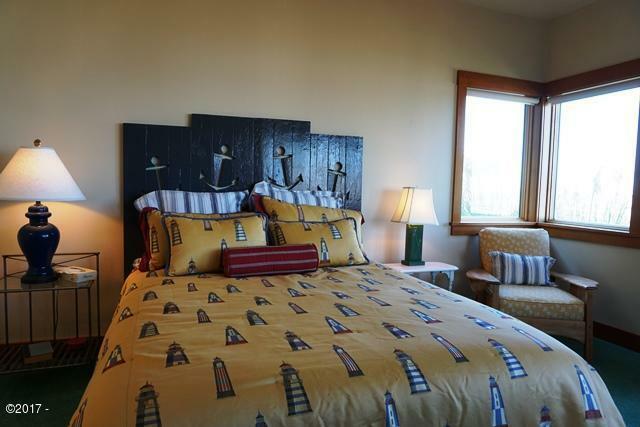 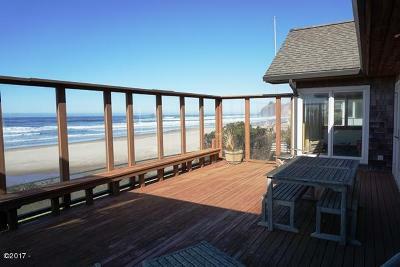 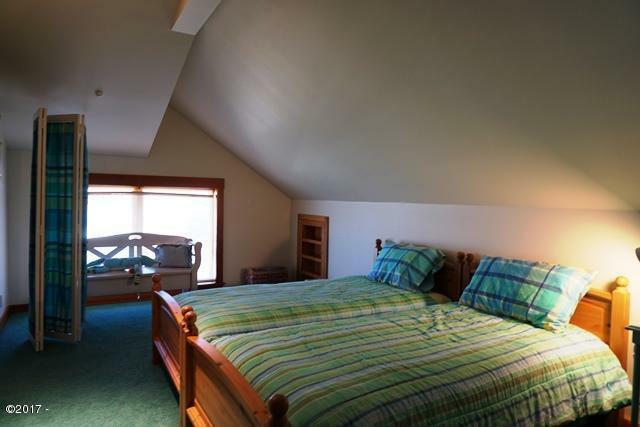 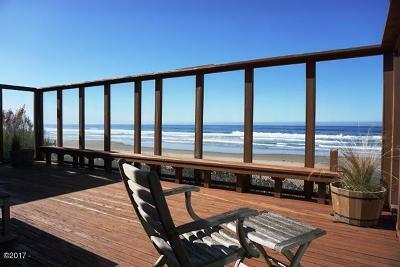 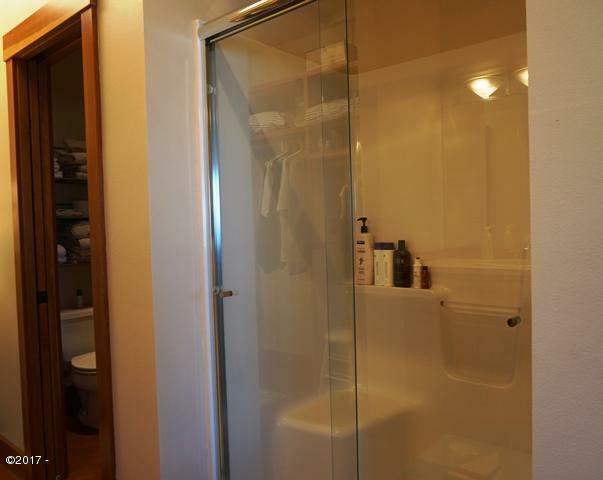 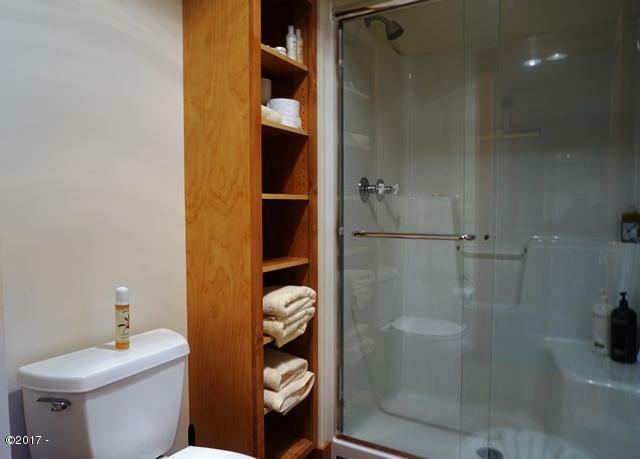 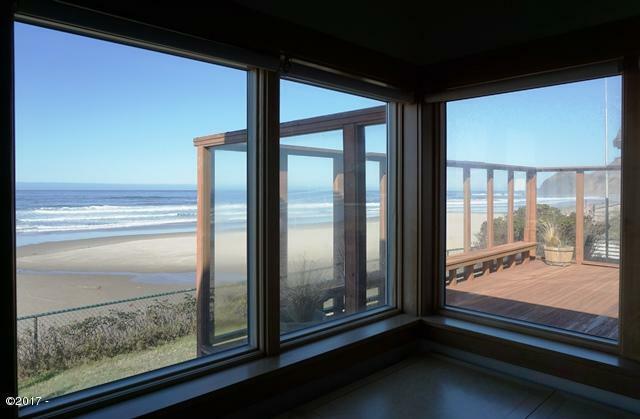 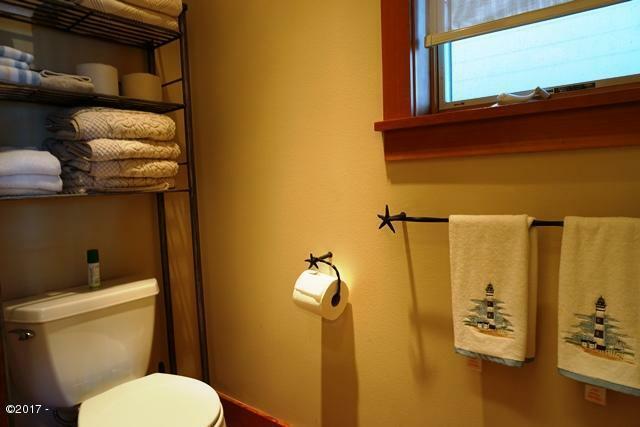 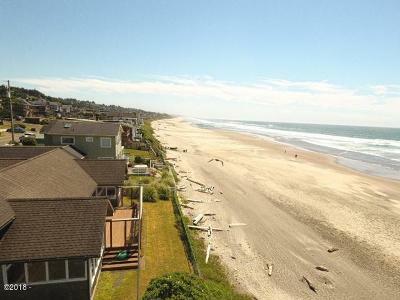 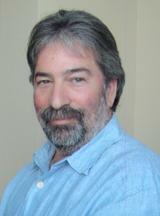 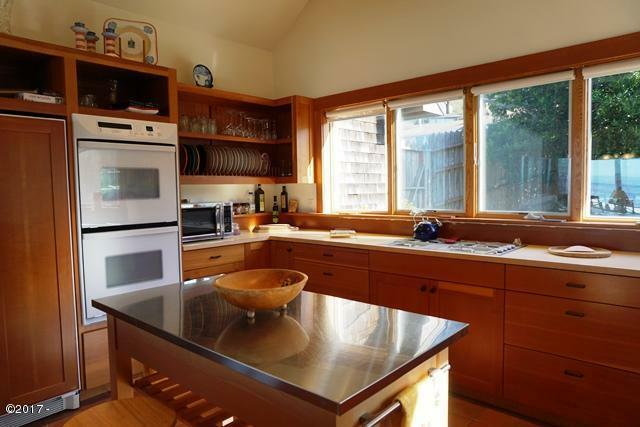 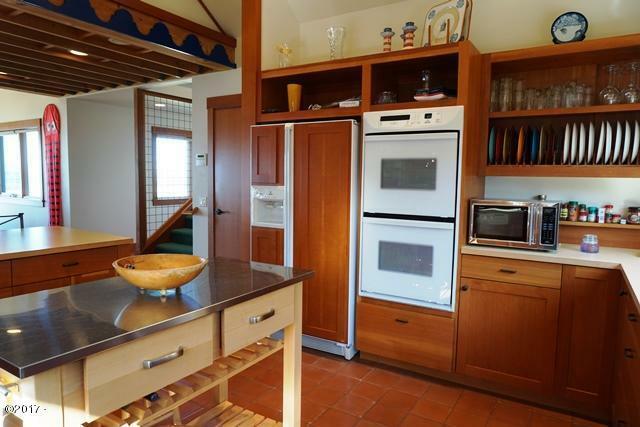 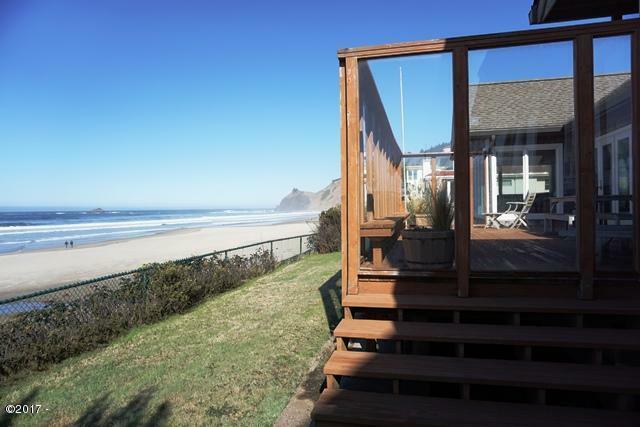 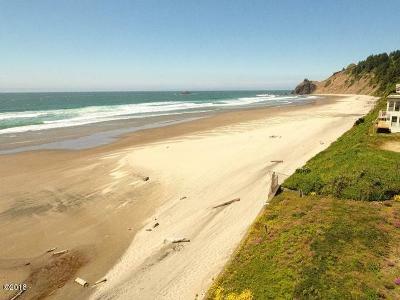 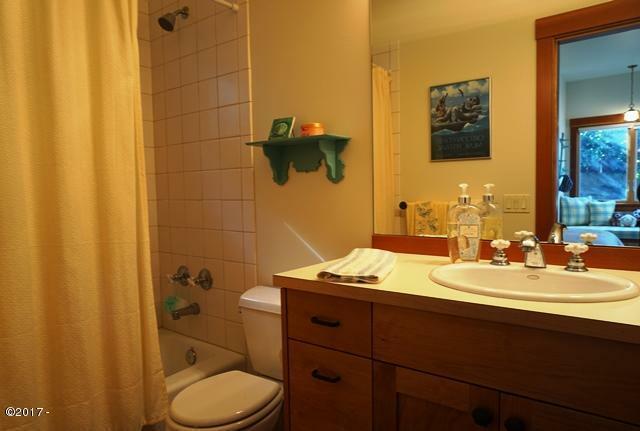 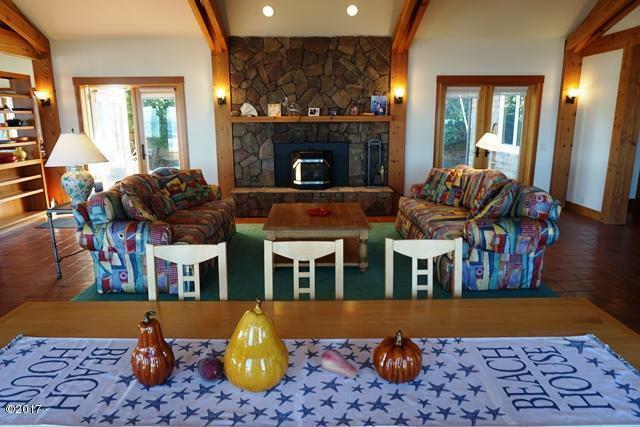 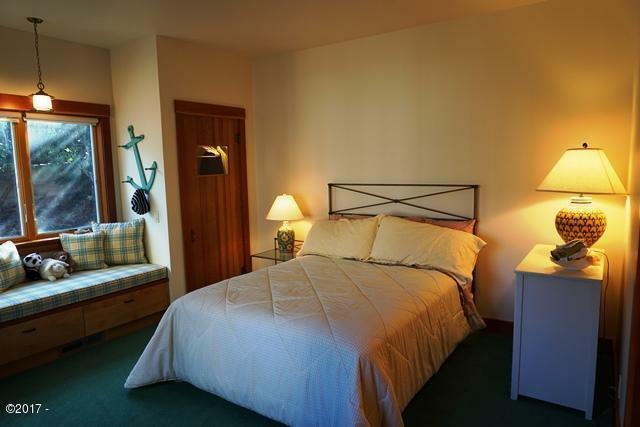 Close to shopping, dining and all of Lincoln City's amenities. 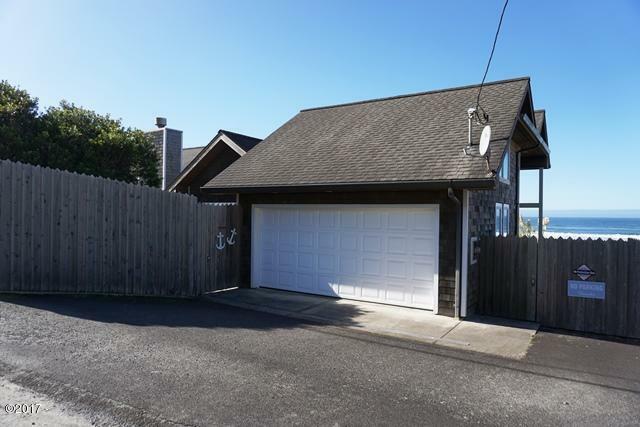 Owner is open to trades, submit all offers!